My loudspeaker versus your loudspeaker - That’s the spark in more than a quarter of the estimated 400 communal incidents since May 16 in 12 bypoll areas in UP. That’s the spark in more than a quarter of the estimated 400 communal incidents since May 16 in 12 bypoll areas in UP. Mitron aaj to tumhare mandiron se speaker utar rahe hain, ek na huye to kal yeh tumhare ghar main ghuske tumhari izzat utarenge. Isliye bolta hoon, apni taakat dikha do. To sab milte hain, shaam 6 baje Bageshwar mandir. — Message sent out on WhatsApp, allegedly by Vijay Kumar Mittal, head of the Bageshwar temple committee in Saharanpur. On July 23, four days before riots broke out between Sikhs and Muslims in Saharanpur city, nearly 2,500 Hindus answered the message, gathering quickly at Kothwai Nagar, 5 km outside the city. On the previous night (July 22), loudspeakers at the temple had blared Shiv Katha, disturbing scores of Muslims at their night-time Ramzan namaaz. Some 300 Muslim families live in the Hindu-dominated area, and an argument broke out between the two communities on Behat Road before the police were called in. The night passed peacefully, but the next morning, the WhatsApp message went out. On the same day, in Nehtaur in adjoining Bijnor district, two Muslim men attacked a Hindu pandit called Rajesh Singh Saini with a knife. 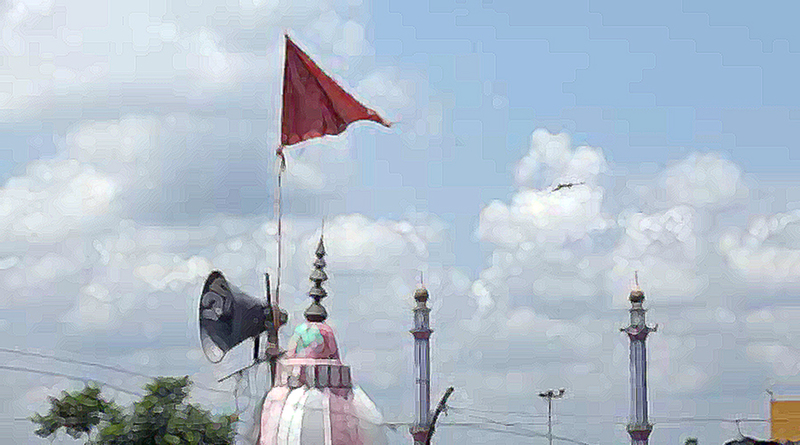 Saini’s temple is in the predominantly Muslim neighbourhood of Holiyan, and residents of the area had objected to the volume of the temple’s loudspeaker. The local police shrugged off the attack as the result of personal enmity between Saini and someone called Salim. But a full week after the incident, The Indian Express observed five armed policemen still patrolling the area. In the 10 weeks after May 16, when the new government took over in Delhi, police in Uttar Pradesh recorded 605 incidents of “communal” nature, two-thirds of them in and around 12 assembly constituencies headed to bypolls. In this communal tinderbox, the humble loudspeaker emerged as a potent catalyst for tensions. Traditionally used for propaganda, provocation and posturing, the loudspeaker was transformed into an effective instrument of polarisation. Police records of over 600 communal incidents during this period scrutinised by The Indian Express show some 120 of them were triggered by the use of loudspeakers at places of worship — the largest contributor, alongside construction activities involving masjids, madrasas and kabristans, to tensions. Ten incidents occurred in Muzaffarnagar; nine each in the districts of Bijnor, Meerut and Moradabad. Loudspeakers triggered eight incidents each in Amroha and Saharanpur; seven each in Sambal and Bareilly; and six in Shamli. Five incidents each were witnessed in Baghpat, Rampur, Bahraich and Balrampur. The incidents spiked sharply after June 16, when \Hindu mobs poured out on the streets of Kant, Moradabad, after a newly installed loudspeaker at a Dalit temple was removed. Between May 16 and June 16, only 17 incidents were recorded — all but one of which were in the western UP districts of Muzaffarnagar, Shamli, Amroha, Sambhal and Moradabad. After June 16, however, and especially after Ramzan began on June 30, there was a spurt in communal incidents, which also spread rapidly eastward. In nearly all of these 120 cases, a familiar pattern was seen: temple loudspeakers competed with loudspeakers of the azaan; and a new and aggressive Hindu insistence on the right to use loudspeakers triggered Muslim reaction. Vijay Kumar Mittal of Saharanpur’s Bageshwar temple committee — also an activist of the Vishwa Hindu Parishad — denied having sent the WhatsApp message that, besides exhorting Hindus to “unite”, contained several offensive references to Muslims. Police are yet to establish where the message originated. Eyewitness accounts of Muslims, corroborated by police officials, suggest that the majority among the 2,500-strong Hindu mob that gathered at the temple were outsiders. 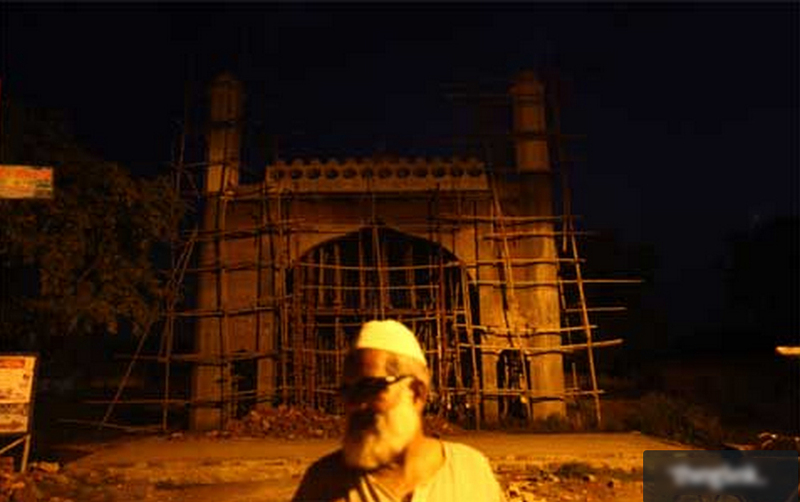 Said a Muslim man in Saharanpur who identified himself as Nazir, “We have never had such problems in the past. If it (the loudspeaker) was loud, we would request that the volume be turned down, and the pujari would oblige. But this Ramzan, it was impossible to conduct our prayers. Nazir was among members of the community who gathered for afternoon prayers not far from Bageshwar temple amid curfew in Saharanpur. Assembled inside the temple, Mishra and other members of the temple committee described an alleged attack by Muslims on a priest. “Muslims attacked the pandit of the Shankaracharya temple and injured him. This is what is happening to us wherever the Mohammedans are in a position of strength,” they said. However, the local police station has no record of any such attack. About the July 23 incident, Kothwai Nagar police have recorded in the station registry that following rumours of a loudspeaker being removed in Bageshwar temple, both communities had gathered on the main road, but the district administration had settled the matter and urged both sides to maintain peace. “Why do Muslims object to mandirs using loudspeakers? They don’t want Hindus to express themselves. They want to subjugate us. We are being denied the right that they enjoy. That is why they are making an issue out of mandirs using loudspeakers. ” Balraj Singh said he had just returned from clamped-down Saharanpur. At 7 pm on July 23, barely half an hour after the knifing of priest Rajesh Singh Saini in Nehtaur, Bijnor, Karan Singh Saini, the BJP’s Nehtaur in-charge, arrived at the local police station along with 200 others. Gathering the crowd had been easy, he said, because everyone knew pressing charges against Muslims would be difficult. “The news spread to nearby areas, and we decided to meet at the police station. We knew it would be difficult to press charges against a Muslim because the Samajwadi Party government patronises Muslims,” Karan Singh Saini said. Soon afterward, a “Muslim” delegation led by the SP’s local unit in-charge arrived at the police station, seeking an “amicable” compromise. Police, however, charged both groups, much to the dismay of the Hindu population in the area. The station registry recorded that the incident involved two individuals of the Hindu and Muslim community, both of whom were under the influence of alcohol, and that an FIR had been registered. Later, standing in the one-room home where Rajesh Saini is recovering from his injuries, a neighbour said, “The SP government patronises them (Muslims). We are the victims, but get charged. Everyone in the room agreed, and several people recounted incidents of attacks on priests during Ramzan. The Indian Express could not confirm any of these incidents. The police have no record of such attacks.